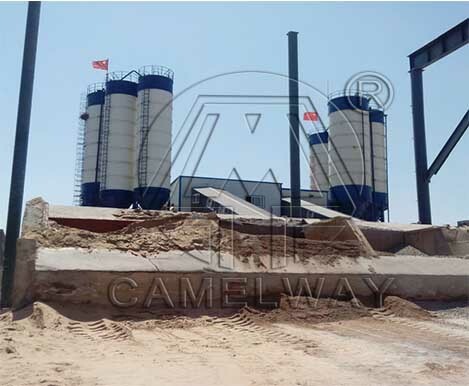 With the advancement of national urbanization, whether it is in the village or still in the city, you can see a lot of construction sites, which are ultimately disposed around the concrete mixing station. Whether small concrete mixing station or a large contrast, only a simple machine, but it is also a science for moving the case or transporting. And there is a lot to look out for. demolition comprehensive scientific program, based on the equipment features scheme and disassembling time of station, to choose appropriate disassembling units, because disassembling forces technology level directly affects the dismantling of concrete mixing equipment development; Enhance on-site control, reasonable arrangements for dismantling machinery and personnel, to avoid cross to work, so that the disassembling process takes a minimum of manpower and mechanical affecting transport equipment safety;To ensure that the equipment against damage and parts no gaps. Another point is that we must pay attention, that is in the mobile, concrete mixing station to host four leg and extension track removed, other plans to move. When the hopper mentioned a certain height to thrust into the system after the bucket pin;Pay attention to the local operation far away from the crowd, avoid touching the construction personnel and other public; All the good safety hook, transport in the carrier vehicle can be safe handling. How to Debug Concrete Mixing Station ?